The bands and boxes have all received a complete makeover featuring bolder logos, scaled-up lettering and more colorful designs. Camacho cigars are getting a new look—and some new blends, too. In an effort to modernize its appearance and reinforce its reputation for bold cigars, Camacho Cigars has redesigned its packaging as well as reformulated most of its existing blends. "Nearly all elements of Camacho have been intensified," said Dylan Austin, head of marketing for Camacho, which is based in Pinellas Park, Florida. "The brand is taking an aggressive stance on the future and aims to reset the bar for bold and full-flavored cigars." Part of the redesign includes adding the image of a scorpion on Camacho's boxes and bands, which Austin feels is emblematic of the brand's heritage as well as its modern-day philosophy of aggressive competition. The bands and boxes have all received a complete makeover featuring bolder logos, scaled-up lettering and more colorful designs. As part of the overall brand reconstruction, however, Camacho has cut some lines from the portfolio. Brands such as Coyolar, SLR Select and 10th Anniversary are now discontinued. "We've slimmed down the portfolio quite a bit," said Austin. 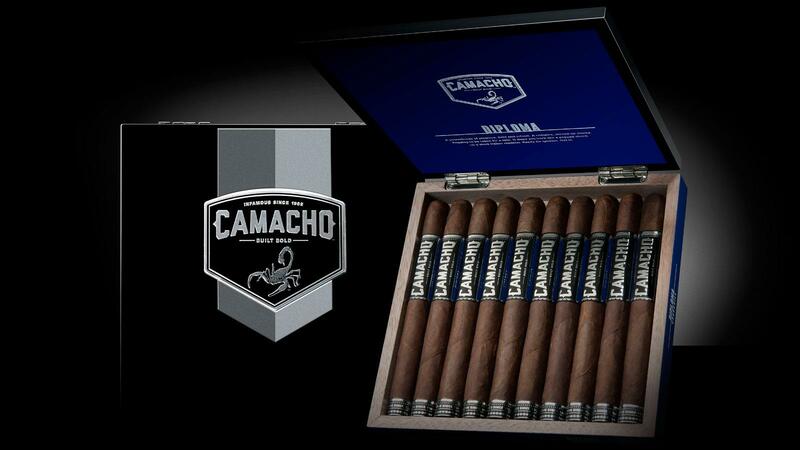 "Previously there were 11 lines under the Camacho brand. Now there are six: Corojo, Corojo Maduro, Connecticut, Criollo (previously called Havana), Triple Maduro and Diploma. Of these six, all except the Triple Maduro and Connecticut have been reblended." To learn more about the new blends, see tomorrow's Cigar Insider.